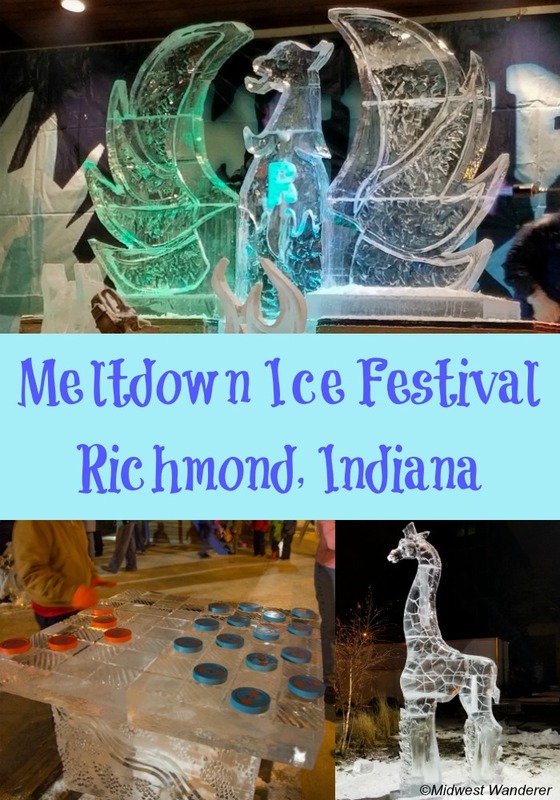 The Meltdown Ice Festival is Richmond, Indiana’s, biggest event of the year. During the 2019 event, five ice carvers created 50 sculptures made of ice, including interactive sculptures like a slide and a ping-pong table. Evening shows include competitions and the Big Reveal, a huge sculpture created in just 30 minutes by a team of carvers. Richmond celebrates the Meltdown Ice Festival all week long with events all over town. In 2019 there was a Lego competition for kids up to 18 years old. As for adults, the pub crawl was a winner. And for everyone, a fire troupe performed on stage. 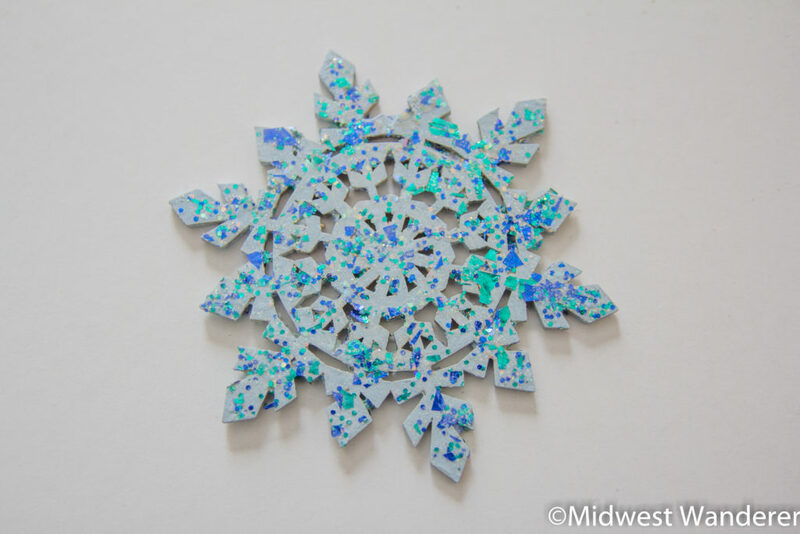 We were treated to a sneak preview of a snowflake paint-and-take that Paint the Towne was offering free to kids during the festival. So fun—and it gave us warm break from the cold January weather. Yes, the weather was cold during the festival—which is great for the ice, of course. And after all, it was January in the Midwest. The cold certainly didn’t stop the crowds from coming to the festival, including us. But that hot beverage from Roscoe’s that we enjoyed afterward sure hit the spot. Thank you, Richmond / Wayne County IN Convention and Visitors Bureau for hosting us during the Meltdown Ice Festival.